Langham Hotels is offering mid-tier Voyager elite status for a limited time. With this status you get late check out, a welcome amenity, room upgrades and more. 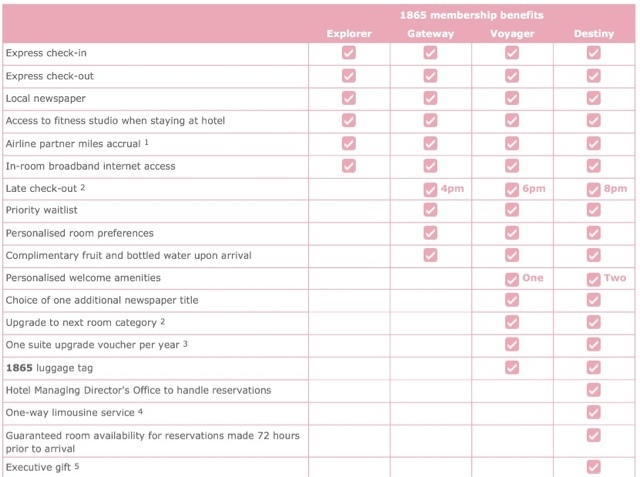 Here is a chart showing the benefits of Voyager status. Langham is a smaller hotel chain which is more on the upscale end of the spectrum. They currently have hotels in Boston and L.A. and are opening ones in Chicago and NYC this year. They have a strong presence in China. While you may never stay at one of these hotels, having status with a hotel chain is important because you may be able to leverage it into status with other chains. Best Western for example will match just about any other hotel chain: http://www.bestwestern.com/rewards/offers/status-match.asp. Several other hotel chains will also do status matches.